In alignment with our mission, we strongly believe that yoga should be accessible to anyone and any body. 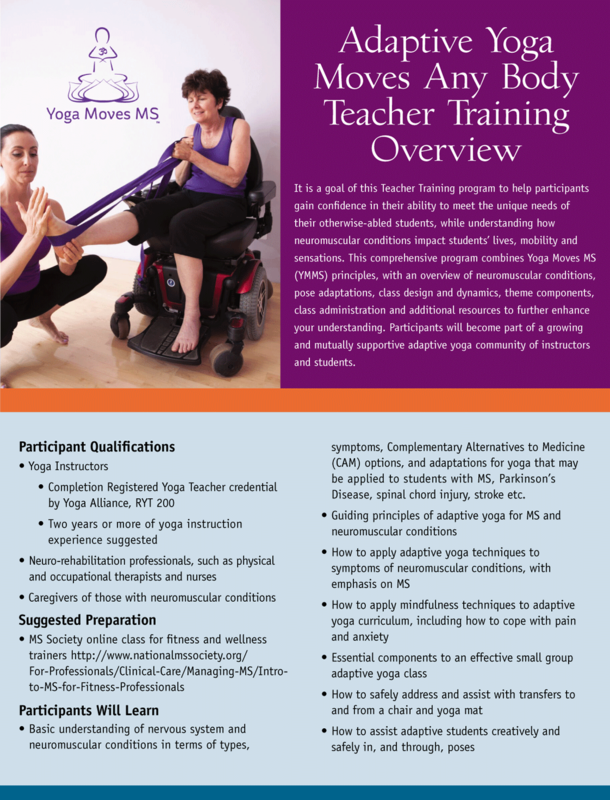 Yoga Moves MS classes are funded by generous donations from Yoga Moves supporters. My Yoga Moves students are the inspiration for many of the clever adaptations presented. 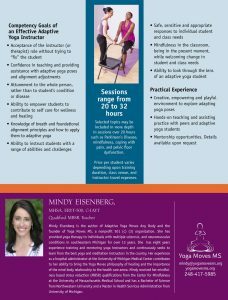 With adaptive yoga, you can individualize the practice to your own needs and abilities. We are honored and excited to share the beauty of yoga with you. As you begin the Yoga Moves journey, you are embarking on a pathway toward improved health and well-being. 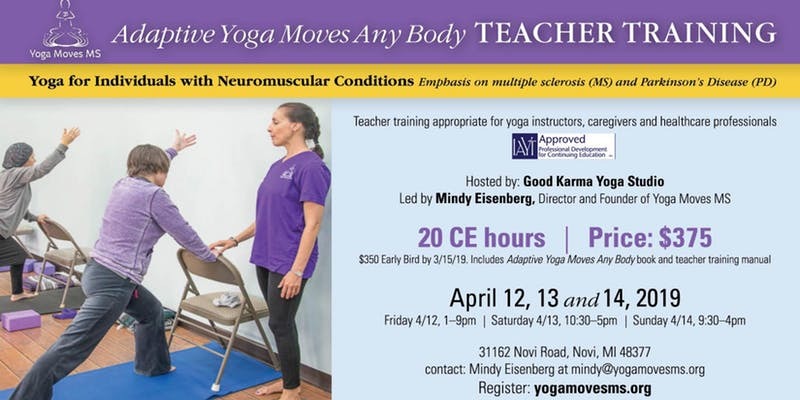 Learn from experienced Yoga Moves MS instructors. 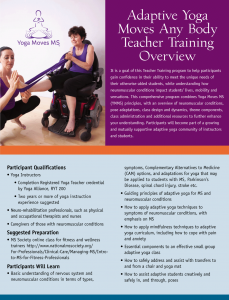 We are one of the only yoga therapy providers to provide adaptive yoga therapeutics for MS on such a grand scale in the country. 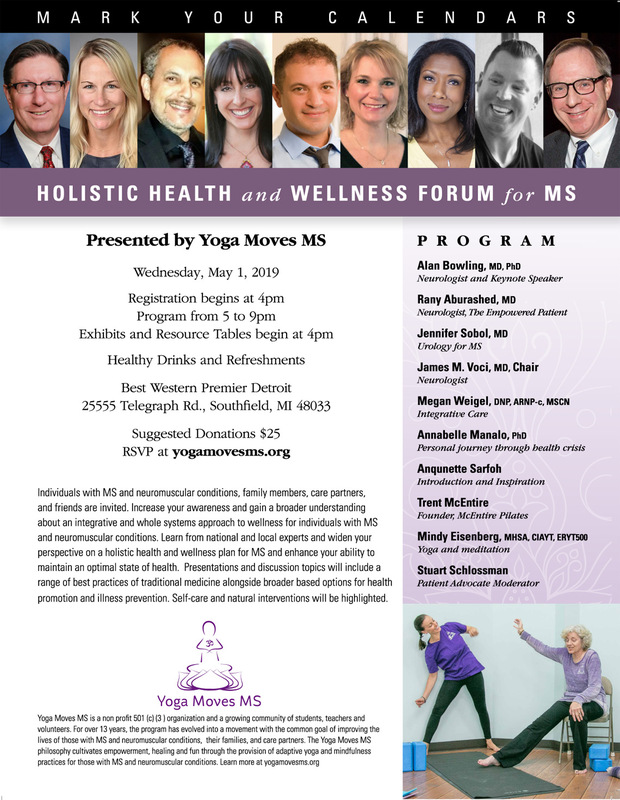 Yoga Moves MS is more than adaptive yoga classes dedicated to those with Multiple Sclerosis and other similar neuromuscular conditions. We are a growing supportive community of students, teachers, volunteers, and leaders. For over 12 years, the program has evolved into a movement with the common goal of improving lives for those with MS and their families. The Yoga Moves philosophy cultivates empowerment, healing, and fun. Yoga is a way to feel alive in our bodies. The more we develop the mind body relationship, we learn much more about our capabilities than our disabilities and limitations, and open to new possibilities both on and off the yoga mat. Our caring, experienced, and attentive Yoga Moves team is trained to empower you to heal. We are honored and excited to share the beauty of yoga with you. As you begin the Yoga Moves journey, you are embarking on a pathway toward improved health and well-being. The Adaptive Yoga Moves Any Body book may be purchased without the videos as it stands on its own as an excellent resource for adaptive yoga. It is generally not recommended to purchase the videos without the book. It is best to purchase the book with the videos since they complement each other and additional pose variations are explained and depicted in the book to meet individual needs. The videos match the sequences at the back of the book. 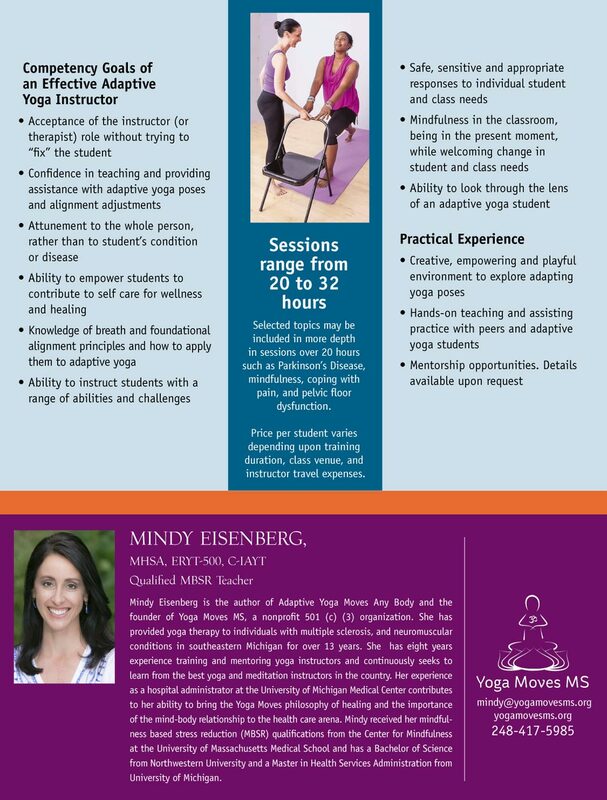 Yoga Moves MS Celebrates MS Awareness Month Featuring our Students. Hear their stories and testimonials. "Yoga is a gift you give yourself... Practicing yoga is the one time YOU have control of your Body and Mind... I have learned thru Yoga that I can be in control... The Mind Body connection,is indisputable. Yoga takes me to my Happy Place."